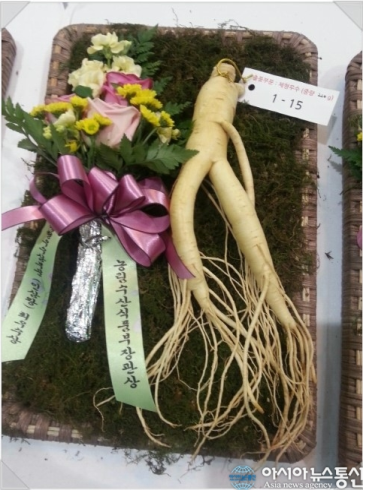 “Cheon Gyeong Sam (CGS)” has won the first prize at the best Korean fresh ginseng festival for the third consecutive year. The third consecutive year winning is the first time in Korean ginseng history. Six thousands ginseng farms, four ginseng National Agricultural Cooperative Federations, Gyeonggi goverment, universities and government research centers have been working together to make the world best ginseng and finally they proved their effort with the best quality.